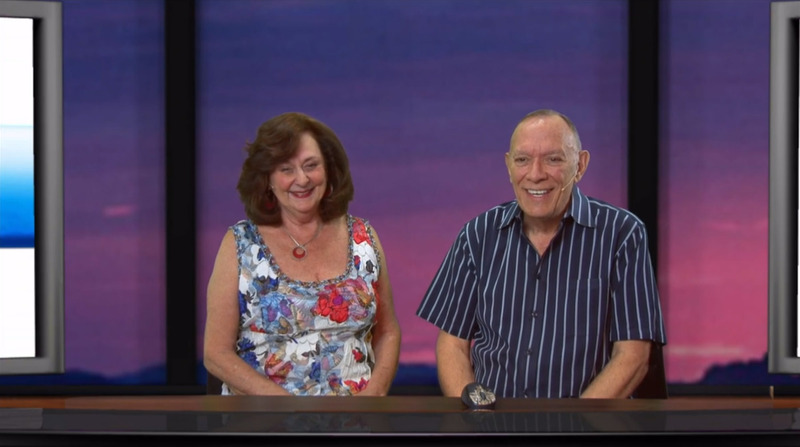 Steve and Barbara welcome you to the VirtualLight Broadcast for June 2017. Steve and Barbara elaborate on the previous month’s message from the group about the future of the Earth and mankind. Next, Steve presents the first channel of the broadcast. Divine Destiny TV Show with Carola Eastwood and Chetan Parkyn. Carola and Chetan have created a system called “Human Design for us all”. They will be regular guest for the next months in VLB, giving us spiritual tools to work with. This month, Carola and Chetan give an overview on planetary energies for June in an astrological point of view. Then they speak about our decision making. Sandie Sedgbeer interviews Dr. Georgina Cannon. Dr. Georgina Cannon is a Board certified consulting hypnotist, relationship coach, author and lecturer at the University of Toronto who has extensive experience in helping clients redirect connections with themselves and others. Her latest book, The Third Circle Protocol: How to Relate to Yourself and others in a Healthy, Vibrant, Evolving Way, gives readers fresh tools for understanding interpersonal relationships as well as skills to create a life of satisfying, loving and effective relationships without guilt or angst. It demonstrates how the relationship we have with ourselves is the basis for all other relationships, and explains how to recognize and understand the unspoken or unrecognized contracts and agreements we make with ourselves and others and how to establish new ones. Sandie Sedgbeer interviews Joshua and Adam Bigelsen. What’s more, the blood shows holographic images which may show disturbance fields – i.e., blocks in the body which inhibit the body from healing properly. By identifying the disturbance field, or obstructions through holographic blood work, Dr. Bigelsen claims that it is possible to work through those blocks and allow our bodies to heal. Adam and Joshua are continuing their famed father’s pioneering work, lecturing, teaching workshops and providing educational trainings and consultations. JOSHUA BIGELSEN has been working side by side under the precision training of the famed Harvey Bigelsen for the last 15 years and who wrote the best-selling book, Holographic Blood. Joshua works directly with the client to elicit more information that verifies the educational consultation. He lectures, teaches workshops and does individual educational trainings and consultations. ADAM BIGELSEN is the CFO and provides latest research studies, and technology, to keep their method current and in the forefront of Holographic Blood readings. As an educator, Adam has helped to develop the curriculum used to teach these methods. Adam is also a music teacher, and is involved in the world of sound therapy. He also lectures and teaches workshops with Josh and their sister Lila. Adam Hill and Christine Morris present the LightMaster Global Light Report Gathered from topics discussed in the LightMaster Course. Then they present the LightMaster Honoree of the month. In this segment, you will find a live channel from Steve. Barbara joins us to discuss the upcoming topics of the channel.